Sensex has now made a low of 19074 which is higher then the previous low made at 18954 which is a good signal in near term. First signals of a turnaround would be if the current move can cross above 19800 ( 61.8% ). 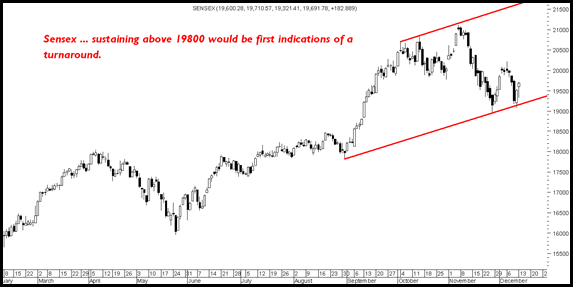 Ideally it would be good to see markets stay sideways in a range of 19000-19800 or even 20300 on higher side. A move beyond 20300 will confirm the reversal and start of a new uptrend. 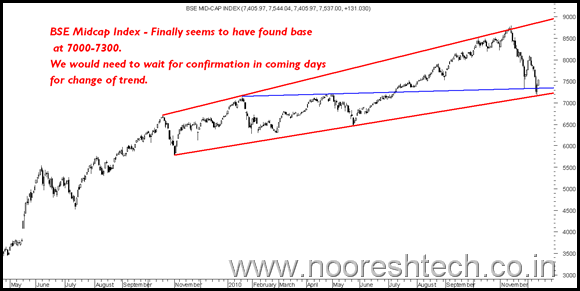 Midcap Index seems to have found a strong bottom with a test of the channel and the rising trendline. There is still a need for a confirmatory move over the next 1-2 weeks. Quality Midcaps will lead the show from now on. In my last update had mentioned if it breaks 9200 we could see another 5% crack too. it did the same with a move down to 8617 which is roughly 5% more. 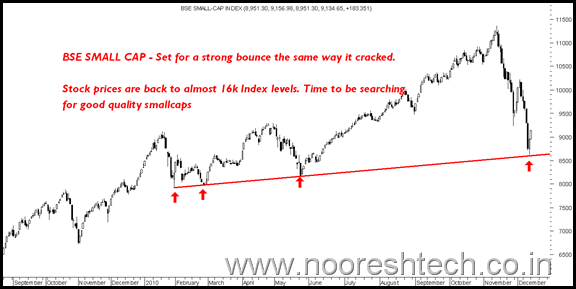 Bse Small Cap Index was the worst hit in the current turmoil but i would see this as a very good opportunity to look for cherry picking as the index has come down to almost 16k Sensex levels. Wont be surprised to see a strong bounce back in small caps in next two weeks. Last weeks 5% crack was more due to the technical breakdown and further fuelled by margin selling so bounce back has to be sharp ! In our free trial have initiated a strong investment call on Sugars with a view to shift from penny and underperforming stocks. One may still look to accumulate the same on every dips with a target price of 20-30% from reco price in next 3-6 mths. Hitech Plast an Asian Paints group company remains a safe defensive bet at 105-110 levels. Mirc Electronics at 21 with a div yield of 4-5% and good growth in the sector seems another defensive bet. Mahindra Ugine Steel at 59 and on dips to 55. The trade got a stop hit but stock shud come back to 65 levels soon. Excellent analysis. Thanks as always for your timely guidance. So your next bet is in Sugar sector. Dwarkesh is also a good bet. 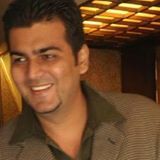 I own it besides Triveni and Rajshree. Hi nifty spot weekly channel resistance at 6005. Ideally nifty should not cross 6015 on Monday.If resisted at this level be cautious as downside can be stiff and unpredictable my guess for nifty spot 5490.Recommendation to buy 5900 put at nifty spot level around 6000+ and hold till expiry for handsome gains.